I thought it’d be fun to play a little game today. Okay, fine. It isn’t a REAL game. But it’s a ploy to get you to help me name my book! I recently signed a contract with Barbour Publishing for my contemporary romance novel, <<<<insert title needed here>>>. Titles are funny things. We authors always have one for our books, but once a publisher decides they want to purchase the rights to publish it, they also have the right to RENAME it. Thankfully, most let the author be heavily involved in that process. So my editor and I have been going back and forth on possible names for the book — including the original name I’d dubbed it. We’ve narrowed it down to FOUR possibilities and decided to ask READERS what their favorite is and why to help us in the process. So below are the 4 possible titles. Please note, if you’ve never read one of my books, I write contemporary romance with a splash of humor. I’m not going to give you the back cover copy (partly because we’re still finalizing it!) but also because I want you to pick the title that would be the most likely one to spark your interest. Each of them contain a different element of the story, so each are appropriate for the themes of the book. I’m so excited to see what everyone picks!!! So glad you liked Sandwich!!!! And thanks for the vote!! The only one that jumps out is The Engagement Plot”. Just like Wemble wrote, it has a mysterious feel to it. I like The Engagment Ruse – just a hint of mystery about what will happen during the book. Also makes me wonder about the relationship before I’ve even opened the pages! :-) :-) Thanks for your vote!!!! Hi Krista and congratulations on your new contract. I enjoyed reading A (Sorta) Southern Serenade in the boxed set Falling for You. Love the alliteration and the informal tone of the title. Sandwich with a Side of Romance sounds quirky, especially the character’s names in this series. Books to add to my To READ list. Therefore with the tone of your previous published books, the title that draws me is The Engagement Ruse – which projects that the engagement act is used to fool someone. I like the quirky sound of the word RUSE and that it involves deception. On that same note: The Engagement Plot could work, but as a retired English teacher PLOT makes me think of the plot of the story – even though PLOT has many meanings – to plot an engagement or a plot of land, so this word could be ironic, a play on the word. The title that would turn me off is The Reality of Love, because I read for fun, to escape the reality of life. 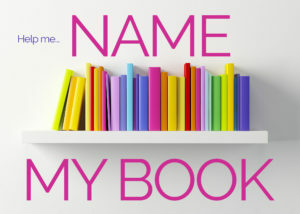 Looking forward to seeing what title you and your publisher choose. So many elements to consider before the final product is in the hands of your readers. Thanks for asking our input. Best wishes! LOL – love to play with funny punny words. Have fun! 1, “the engagement ruse”, title intrigues me. I like the Engagement Ruse. It makes me curious about the story. I’ve enjoyed the books of yours that I’ve read. Yeah! So glad you’ve enjoyed them!! Thanks for the vote!! I like The Price of Love, makes me wonder how high that price goes, what happens to cost their love, can they overcome whatever the price is? And that is exactly the idea of that title idea too, :-) Thanks for the vote!!! Hi Krista. I think that The Engagement Plot is the most catchy. Congratulations on the new contract. I really like The Engagement Ruse. It captures my attention and makes me want to read and find out why. Yeah!! Thanks for your vote!!! I prefer #1 or #3 but much prefer the latter. However, I’ll play the devil’s advocate and say I personally wouldn’t use the word “ruse” in the title of a Christian romance because the word itself means to fool someone and implies trickery used to gain something from someone else. A lot of readers don’t like dishonesty in characters unless it’s a situation that’s resolved quickly, but even then… I’m wondering if there’s yet another word you could use for The Engagement _______. Maybe I’m overthinking it, but I believe a title is so important. Feel free to cyber swat me if you want. :) Again, just my opinion. Best wishes with your new book and congratulations on your contract! I couldn’t be happier for you. Blessings! Thanks for your feedback, JoAnn!!! Obviously, I’m outvoted, even by my own readers. :) I’ll be interested to see the final outcome. Congratulations on your contract, and very best wishes with the title. Before reading the comments, I too like the Engagement Plot the most. Did not particularly like Ruse, but what about simply The Engagement Plan? However, until now I have not read one of your books but “Plot” would be very appropriate if the book “fits” with Romantic suspense – which I particularly enjoy. If not suspense, Plan would be best. And now I’m off to check other titles by Krista Phillips! The Engagement Ruse! I don’t like 2 or 4 at all. Ruse just sounds like fun! And the book definitely has elements of fun! THANKS for your feedback!! Thanks for the insight on book naming! I really enjoyed A (Sorta) Southern Serenade in Falling For You and can’t wait to meet your newest characters! Based on what you shared, I’m feeling something akin to “My Fake Fiancé” here… So the one that grabs me is The Engagement Ruse, with The Engagement Plot as a close second. You could also go with something like The Engagement Artifice but that might only work for weirdo wordophiles like me! Ooh, exciting! Congratulations on the contract, Krista! My opinion as a reader not a fellow author, because I am rubbish at titles: it depends on the story! If it’s mostly serious with some humor, The Price of Love. If it’s mostly light and humorous, but with some serious moments, The Engagement Plot. Knowing your writing, I’m inclining toward The Engagement Plot! I think that’s part of my back and forth… it definitely has some serious parts… but has good doses of my customary humor as well. THANKS for your vote!!!!! The Price of Love catches my eye. I like Yhe Engagement Plot. But I also like Ruse of Engagement, a little play on words. Someone else suggested Ruse of Engagement to me privately, LOL. I like “the engagement ruse”.. Definitely sparks some curiosity. Congratulations on your exciting news! All the possible titles have merit but the one that made me think “I need to read this book” was The Engagement Ruse. Hope you get a lot of help in deciding your title. Have fun with your new adventure. That DOES help! Thanks, Mary!! Congrats on your contract. I love the idea of The Engagement Plot. Think it goes with the serious and humourous side of writing. Some of your titles sound interesting, with play on words being a strong theme. The Engagement Ruse: makes me very curious and interested in what it’s about. I like The Engagement Ruse. The word “ruse” piques my interest more than the word “plot.” I think it’s a stronger word, more of a “million dollar word” as we teach in second grade writing. Congrats! I like number 1. I like Ruse over Plot. Ruse sounds more conniving, “plot” is almost ordinary. So excited for you Krista!!! Huge congratulatoins!!! I like the Engagement Ruse because we just need to use the word “ruse” more! :D Congratulations, Krista!